Having many login IDs and passwords is encouraged in terms of security but it might not be a good approach for absent minded people. Nowadays, users have accounts in Youtube, Facebook, Yahoo, Google, etc. and this can translate into a huge hassle if users were to check each account every day. Having to log in to the account with the right user name, and remembering the corresponding password can lead to mishaps especially if users are not using their own laptops or desktops with pre-saved names and passwords. For easy and quick login, the social networking website, Facebook, now allows users to link their account with Google, Yahoo or MySpace. In other words, when users sign in to their Google account, e.g Gmail, they will be able to automatically login to their Facebook account without having to type in their login ID and password again. 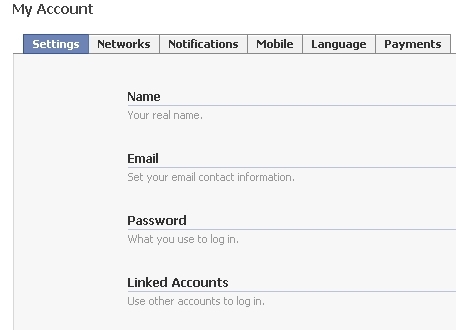 To link up the Facebook account with their Google, Yahoo or MySpace account, users need to login to Facebook and go to Settings -> Account Settings. In the Account Settings page, click on to the “Linked Account” item. Users are given a choice of linking their Facebook to Google, Yahoo, MySpace or other open IDs. To add link to their Google account, for instance, users just need to select Google in the scroll down list. Users will thence be prompted a new window which seeks users’ permission whether to allow or disallow the linking. Clicking on the “Allow” button will thence allow the social networking site to link to users’ Google account.